Nathan Guttman on AIPAC: A Waning Superpower? Home / Latest / Nathan Guttman on AIPAC: A Waning Superpower? Can the pro-Israel lobbying superstar muster the same political clout in Congress as it used to? Is the American Israel Public Affairs Committee (AIPAC), the pro-Israel lobbying group, facing a crisis of power? One of the main reasons? AIPAC has fallen out of touch with American Jews, who are sharply divided over Israel, says Bruck. As Israel’s recent actions in Gaza have brought to the fore, more liberal American Jews have stared distancing themselves from the country’s center-right government and its attitudes toward Palestinians. Bruck supports the trend with statistics from a widely-discussed poll conducted by the Pew Research Center in July, which found that 73 percent of Republicans support Israel, while just 44 percent of Democrats are still in favor of the country’s actions. 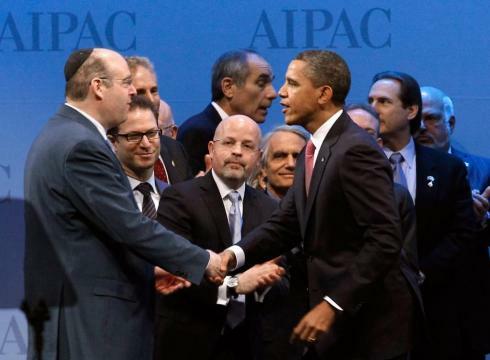 Guttman points to AIPAC’s recent clash with the Obama administration over Iranian sanctions. In October, the administration entered into talks with other world powers to convince Iran to scale back on its nuclear capabilities. To ease negotiations, President Obama began pushing Congress to lift some of the tough sanctions that had crippled Iran’s economy—a move AIPAC strongly opposed. In response, the lobbying group pulled out all the stops, seeking to influence its friends in Congress to instead toughen the sanctions. “This was the first time in decades that the lobby had challenged the sitting U.S. President so overtly,” Bruck writes. To AIPAC’s chagrin, Obama went ahead and lifted the sanctions. Many, including Bruck, took this as a sign that AIPAC’s power was on the wane. “Has AIPAC lost its mojo?” asked an online article in The New Stateman. Furthermore, polls the cite the split among diaspora Jews over Israel aren’t failsafe, Guttman adds. This week, a recent Brandeis University study challenged the Pew numbers, reporting that “while American young adults may hold Israel responsible for the recent conflict in Gaza, American Jewish young adults do not, and in fact, are overwhelmingly supportive of Israel’s military response.” The study found that 79 percent of young Jewish-Americans surveyed still supported Israel in the recent war. Since when are American Jews not mostly liberal? Since when has their not been dissention in the ranks? 1967? The New Yorker article (and the title to this one) is not only defensive, it is counterfactual. I’d argue that on the whole, in my experience, more Jews on the right, center and even left have been more united around the recent conflict and the fight against anti-Semitism in Europe than in recent times, and AIPAC’s dissenters in J Street and elsewhere have been on their back heel. So indeed it is likely that AIPAC is stronger now than it has been in the recent past, and my guess is this will be apparent at the next annual gathering with stronger overall support and a much stronger and united base of activists and donors. The majority of Americans are supportive of Israel. This fact makes it easier for AIPAC to lobby in Washington. Israel’s problem in the Mid-East has been and will forever be existential. Those people who do not admit to this conundrum are like ostriches and in need of psychiatric support. All the help in the world. It is all about survival. No they aren’t….you don’t know what we’re saying about you and Israel. Get your lobby and your foreign country of Israel out of our country, government and pocketbook.